Wessex Lodges & Park Homes are delighted to return to The National Park & Holiday Homes Show, Newbury, 19th to 21st May with the stylish 2017 Dorset park home. Keeping its distinctive exterior, the Wessex Dorset receives a complete interior re-design for 2017. This incorporates luxurious Highland fabrics and a beautiful new colour scheme. The National Park & Holiday Homes Show returns once again to the Newbury Showground. Here it will showcase some of the most sought after park homes and lodges on the market. A show for all the family, visitors can look forward to viewing all the latest models from the leading manufacturers. When designing the 2017 Dorset – focus was given to creating an effortlessly stylish, warm, relaxed cosy feel. However, designers also aimed to keep a simple design as well as luxurious feel. The instantly recognisable exterior remains largely the same. The design has a quiet yet confident presence. The feature front door is framed in Sand CanExel cladding within a central roof dormer. This gives it a relaxed and welcoming feel. The exterior also features box bay windows to the front of the home, extended overhang and distinctive cladding. 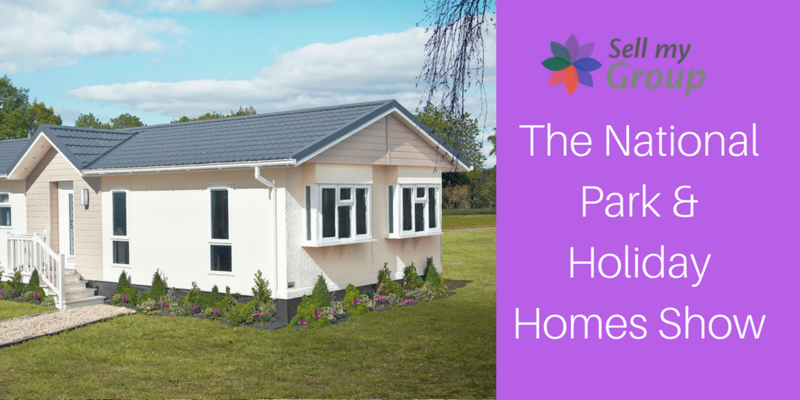 The front of the home takes full advantage of the space available. This is due to a well thought out ‘L’ shaped lounge/dining area that opens from the entrance hall. The soft soothing colour scheme of soft almonds, oatmeals, champagnes and soft greys used throughout the home. The paler shades successfully blend together with bolder highlights of aubergine, thistle and mulberry. Carefully chosen furniture including an Isla-style sofa with coordinating arm chairs and Lyon Oak extending table. Furthermore, there is an entertainment unit and coffee table which create a real heart to the home. Affording you the perfect space to really relax and recharge. The kitchen, as you would expect from Wessex, provides luxury alongside convenience. The kitchen is fitted with all the integrated appliances you could wish for. Kitchen units come in a warm champagne metallic finish and are accessorised with contemporary brushed steel handles. The kitchen then flows through to the highly practical boot room. This provides additional storage space as well as somewhere handy to remove muddy shoes and wipe dirty paws! The hallway leads to the generous master bedroom suite which spans the width of the home. The bedroom also encompasses a walk-in-wardrobe and en-suite. Grey and pale oak furniture simply yet elegantly furnish both the master and second bedroom. Finally, curtains and coordinating scatters in varying shades of pebble grey and indigo blue finish the bedrooms of. So make a note in the diary and visit us on Stand 3P to take a look around the beautiful Dorset park home and talk to the Wessex Park Home & Lodge team.